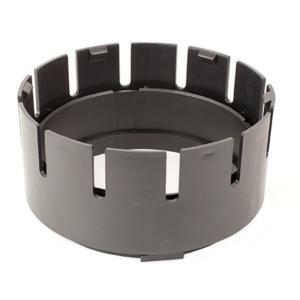 The Basin Adapter to join 6" sewer or drain pipe to the catch basin. It can be attached to the 9", 12", or 18" Square Catch Basins, 9" and 12" Low Profile Basins. The Basin Adapter is easily installed or removed by rotating clockwise or counter-clockwise respectively.